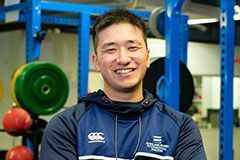 Coming to AUT for postgraduate study was an easy decision, says Wataru Hiramatsu who dreams of working as a rugby strength and conditioning coach one day. “Rugby is my main interest, and New Zealand is of course one of the greatest countries when it comes to rugby. 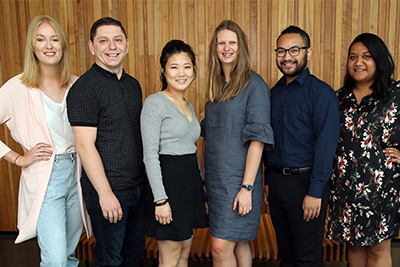 When I was studying in Japan, I met Professor Patria Hume from AUT’s School of Sport and Recreation, and she recommended finding a programme where I could learn from expert strength and conditioning staff in a practical environment. Being able to learn from experts in his field has been one of the highlights of his studies, Wataru says. Wataru, who came to AUT as an international student from Japan, says the environment has had a big impact on his practical skills. He would highly recommend postgraduate study in sport and exercise to others, says Wataru. Studying in New Zealand has had some challenges, he admits.